Maybe it isn’t even just clothes that you are super careful with – but every absorbent surface in your life – carpet, linen, mats… the list goes on. Sure there are plenty of store variety, chemical-filled sprays and foams that claim to work miracles on stains, however we prefer natural cleaning methods in our household. With small children, cutting down on the amount of chemicals we keep in the home is preferable. It can also be an inconvenience when you find a stain on your clothing, bedding or carpet for example, but have nothing on hand to clean in. That’s where the DIY stain remover options can be perfect! If you get on Pinterest, you will find a billion different posts on stain removal for various surfaces. 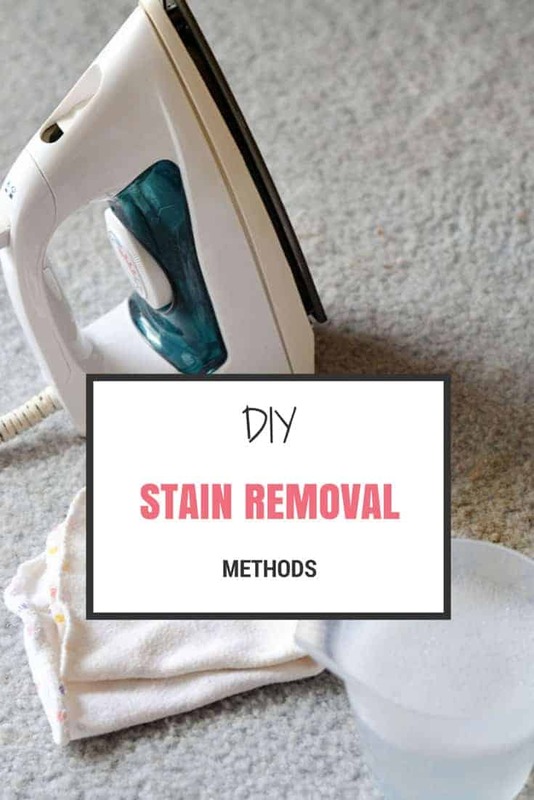 It’s can get a little overwhelming trying to find a solution for your particular stain, so to make your life a little easier, I have put together DIY stain removal methods for some of the common stains you may encounter. Especially if you have kids! Sauce – Wipe the stain area with vinegar, wash as normal, then hang in the sunshine to dry. This is a big one in our household with a 2 year old who loves her spaghetti. We have saved a few outfits with this simple vinegar technique although it can be tricker when you are out and about. This method is also great for carrot, fruit juice and even wine if actioned soon after the spill. Blood – Rub with a cake of bathroom soap and wash as normal on cold cycle. Or use cornflour and water to create a paste and leave on stain until dried. Brush off then wash as normal. You never know when a blood nose or minor (hopefully) injury can occur so this is a good one to have in the kitty. Chocolate/ice-cream – Use a cake of bathroom soap and cold water to scrub stain, then repeat using soap and hot water before washing on a normal cycle. Ink/Pen – Coat with rotten milk solids (gag), leave for a while then wash as normal. To create your milk lumps, sit some milk in the sun until it the lumps form. Ink – Like with clothing, the rotten milk works well. Coat in milk lumps and leave until ink lifts. Wipe off milk lumps carefully or use comb to lift, then scrub area with bathroom soap and cold water. Vomit – Clean up as best as you can then scrub with cloth soaked in vinegar. 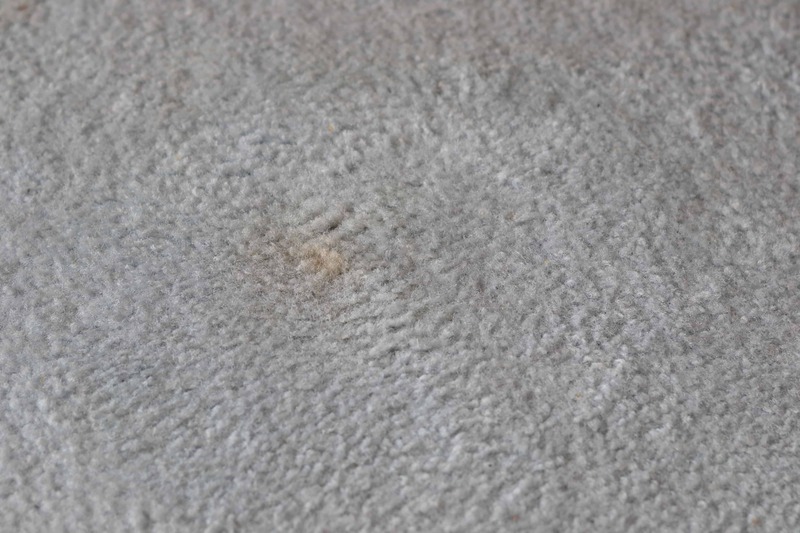 General Carpet Stains – Another all-purpose stain removal tip. Pour some white vinegar over the stain, sprinkle over baking soda. Let the vinegar and baking soda react and bubble to absorb the stain. Rub with damp white cloth, allow to dry before vacuuming. Ready to tackle and old cat vomit stain – gross! 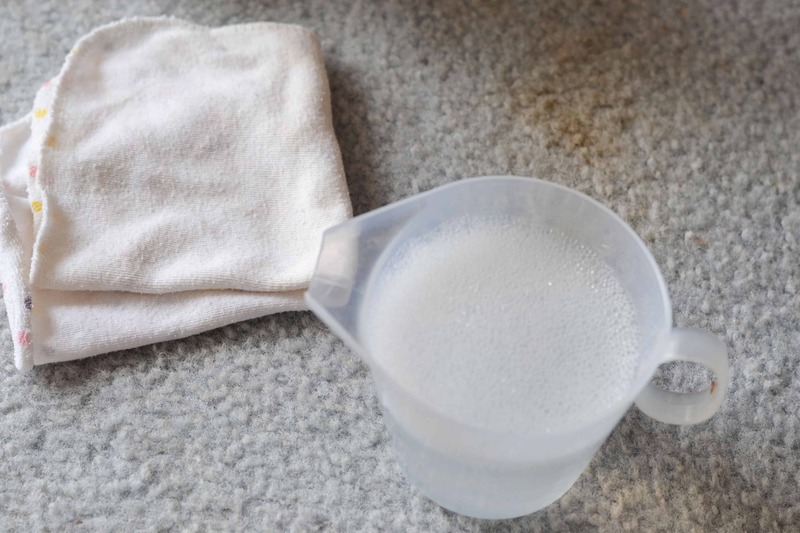 Intense Carpet Stains – mix a solution of 1/4 cup of vinegar, 3/4 cup water, a few drops of dishwashing liquid. Soak a white cloth in the cleaning solution, wring out the cloth, and place over stain. Iron over the cloth for a few seconds (make sure you are using a steam iron), and lift up the cloth. If all goes to plan, the stain will have transferred onto the cloth. Continue adjusting the cloth to a clean section and ironing over until the stain is completely gone. If it remains, scrub the area with the wet soaked cloth as this can help lift some really persistent areas… but be careful you don’t burn yourself. This process can also work well for mattress stains – although some more persistent stain removal will need a more heavy duty stain solution. Another way of avoiding persistent stains in your carpet is to consider upgrading to a higher quality, stain resistant carpet. This can make your life a lot easier if you have a household that is prone to mess, with kids or pets, like mine. The carpet in our home is pretty awful. It was one of the only negatives when we purchased our home and we talked about needing to replace it over time. However with kids and cats, it has gotten worse so at this point in time we haven’t gone ahead with the upgrade so instead I will continue to do my best stain removal when it’s needed. Do you have a favourite DIY stain removal method to share? Great tips. I freak out overtime I have a stain! having a baby, dog, cat and a messy partner 😛 my house is just a big stain. lol I will definitely try out some of these tips!!! Great tips and all natural too! Winning! You’re a godsend, I’ve got a bucket full of spag bol stained toddler clothes, will bust out the vinegar! Spaghetti has to be the worst. That and the dreaded cat spew on the carpet are our most common. Miss 2 loves spaghetti ? All natural is a winner if it does the job. Great tips, thanks. I need this post right now!! Perfect timing!!! Thank you so much – you’ve just saved the day… literally!!! Definitely worth a try. Let us know how you go with the old stains and yes, they are a sad reality with toddlers lol I now have a reflux baby to go with my messy toddler. Mess everywhere! This post is awesome! There is solution for any type of stain. I am from those people who have no idea how to deal with the stains, but since I have my two babies I really need to be more aware and prepare. Those cleaning tips are extremely helpful for me. Thanks a lot for sharing!! Thank you. It’s great to know in most cases we can remove a stain with something we already have on hand. Having kids means our carpet cops a hiding at times though!